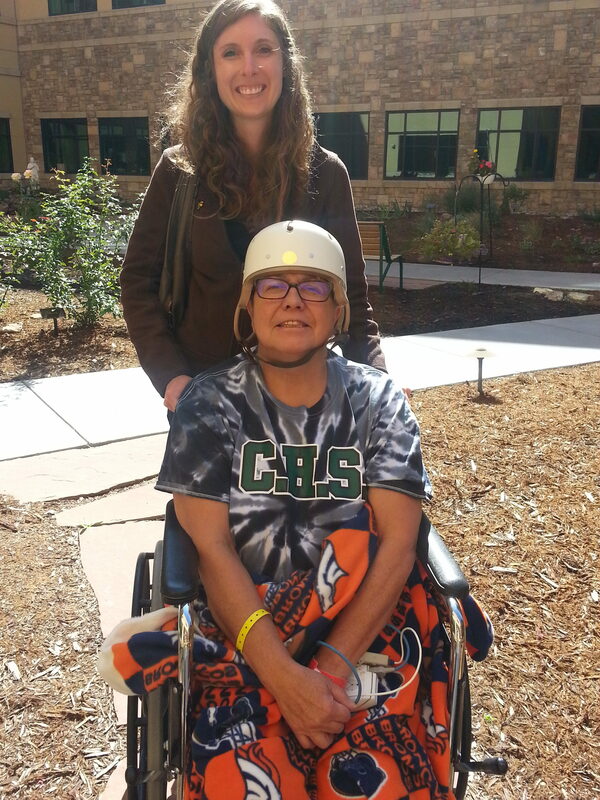 When Colorado native Sandy Miranda fell while carrying boxes down stairs at her home in Conifer and sustained a traumatic brain injury (TBI) in 2015, she had already been through a lot in the years before. After coming out of a coma in the ICU in the fall of 2015 with no memory of her accident, she was transferred to Craig Hospital where she started her inpatient rehabilitation in a wheelchair, unable to walk, talk, write, cook or do many of the things she did before. 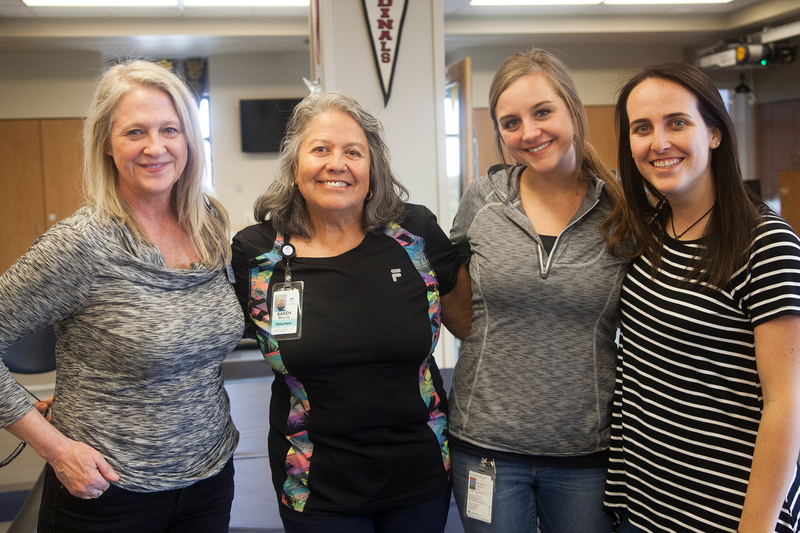 After two and a half weeks as an inpatient at Craig in intensive physical therapy, occupational therapy, speech therapy, memory and counseling therapy, she left Craig walking, talking and on her way to learning how to cook, drive and be independent again as an outpatient. She retired from her work with Jefferson County Schools and started spending more time with her family and children, visiting friends, connecting with other Craig patients and relearning how to live life. Within a year, she was driving again and traveling all over the world with her family and friends. She soon joined Craig’s Outpatient Brain Injury Community Recreation Group, participating in activities with other Craig TBI outpatients as often as she could. Through Craig’s Therapeutic Recreation Department, she spent time with other Craig grads and patients in activities that helped them reintegrate back into their communities and learn to adjust to their injuries, including trips like a cruise to the San Juan Islands, fishing, painting, and outings to the movies. Today, Sandy is helping pioneer a program at Craig to provide peer support for inpatients and grads. 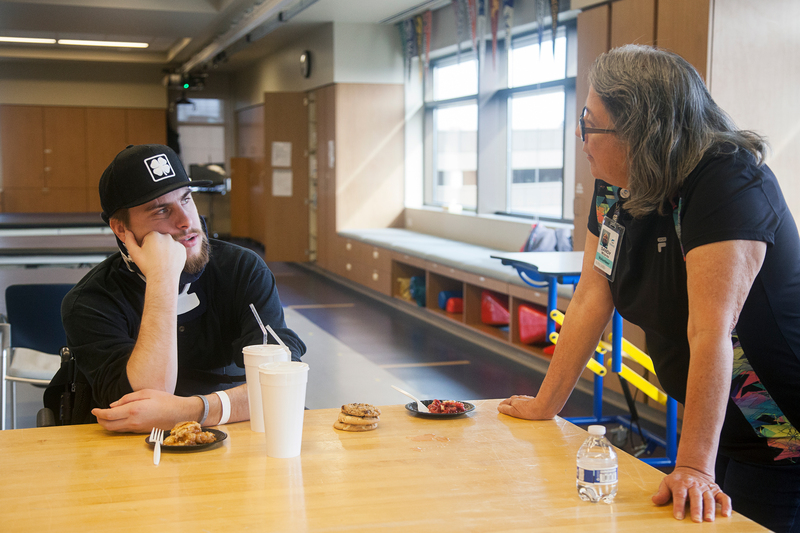 Her volunteer work will connect her with patients who are newer to their injury and would benefit from learning from grads who are further removed from their inpatient stay. Sandy stays happily busy now spending time with her family, friends, and Craig peers and staff, crediting her new outlook on life to her time at Craig.